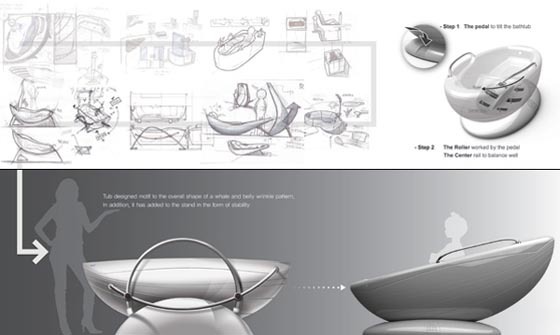 Looks like more and more industrial designer are paying attention to environment protection during their product design. After the Sshower by Marco Antonio Esquiró San Román, we will introduce you another water-saving multi-functional bathtub with an exclusive tilt function that allows you to save water when you take a soak. 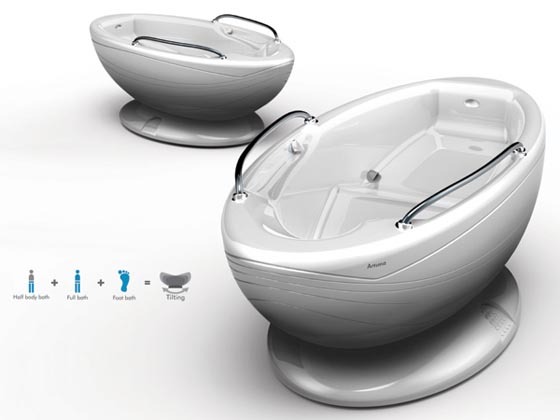 The usage of quantity of water is absolutely different, according to different uses of a bathtub; for foot bath, half-body bath and full-body. However, the bathtub we usually have don’t differentiate these needs and waste so much of water. 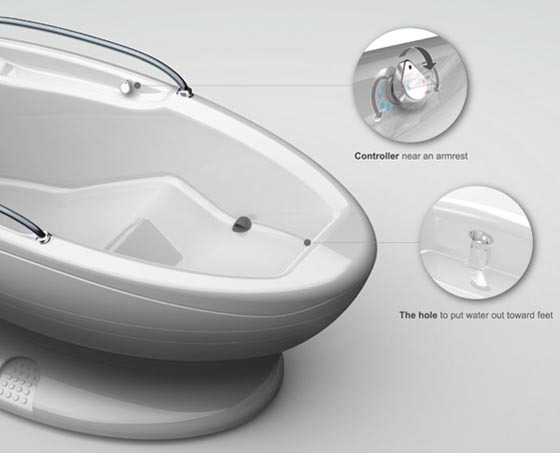 Hence, Seung Hyun Lee, il Woong Jwa, Bom Yi Lee & Jiwon Moon come up with this multi-water save bathtub for all types of baths. 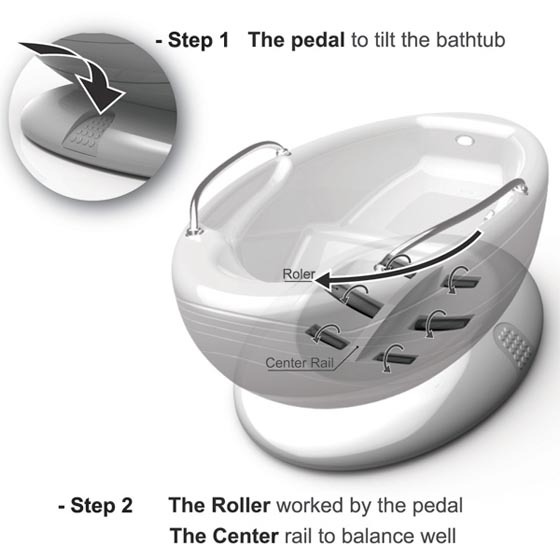 By adjusting the six rollers and rail under the bathtub, user can control the angle of the tub. 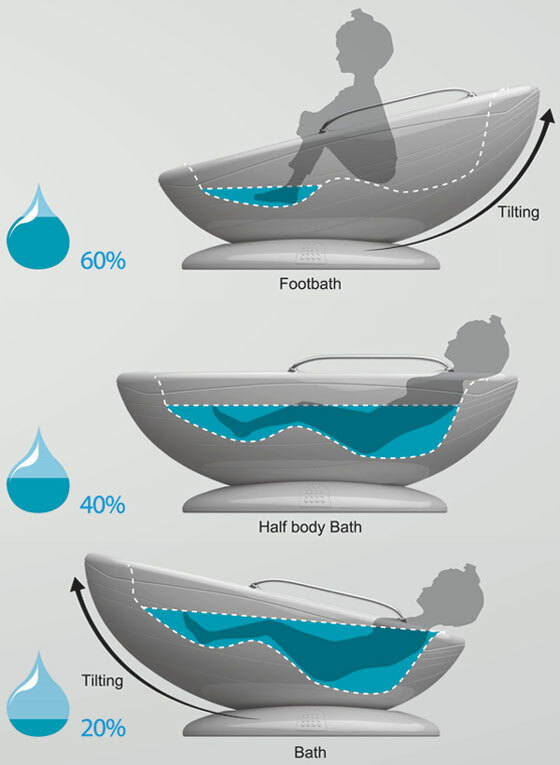 Depending upon how you tilt and use the tub, you could end up saving 60% of water for foot bath, 40% of water for half-body and 20% for full-body bath.